EDMONTON (March 7, 2018, 11am MST)–For the first time, scientists have found Earth's fourth most abundant mineral–calcium silicate perovskite–at Earth's surface. "Nobody has ever managed to keep this mineral stable at the Earth's surface," said Graham Pearson, a professor in the University of Alberta's Department of Earth and Atmospheric Sciences and Canada Excellence Research Chair Laureate. He explained the mineral is found deep inside Earth's mantle, at 700 kilometres. "The only possible way of preserving this mineral at the Earth's surface is when it's trapped in an unyielding container like a diamond," he explained. "Based on our findings, there could be as much as zetta tonnes (1021) of this perovskite in deep Earth." Pearson and colleagues from UBC found the calcium silicate perovskite within a diamond mined from less than one kilometre beneath Earth's crust, at South Africa's famous Cullinan Mine, best known as the source of two of the largest diamonds in the British Crown Jewels. 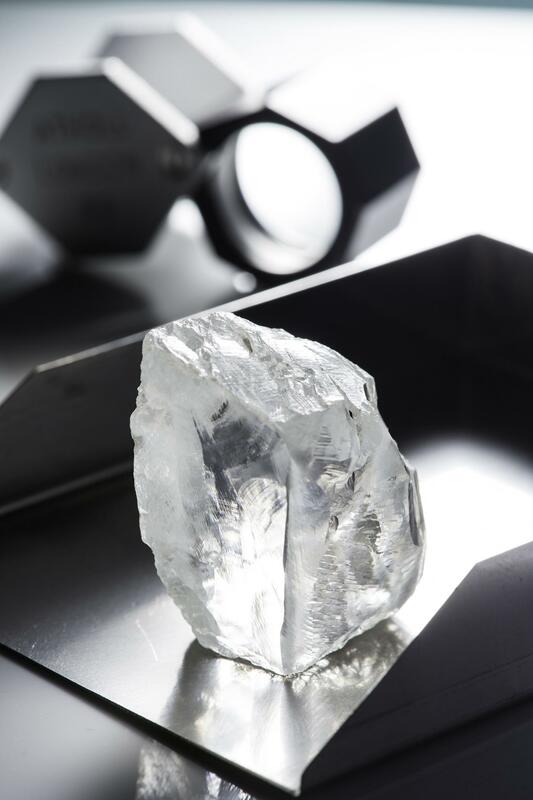 Pearson explained that the diamonds from the mine are among not only the most commercially valuable in the world, but they are also the most scientifically valuable, providing insight into the deepest parts of Earth's core. He said the particular diamond in question would have sustained more than 24 billion pascals of pressure, equivalent to 240,000 atmospheres. The diamond originated roughly 700 kilometres below Earth's surface, whereas most diamonds are formed at 150 to 200 kilometres depth. "Diamonds are really unique ways of seeing what's in the Earth," said Pearson. "And the specific composition of the perovskite inclusion in this particular diamond very clearly indicates the recycling of oceanic crust into Earth's lower mantle. It provides fundamental proof of what happens to the fate of oceanic plates as they descend into the depths of the Earth." He said the discovery once again highlights the uniqueness of diamonds being able to preserve things that we otherwise would never be able to see. "And it's a nice illustration of how science works. That you build on theoretical predictions in this case from seismology and that once in a while you're able to make a clinching observation that really proves that the theory works," said Pearson. One of the best known diamond researchers in the world, Pearson was also behind the major 2014 discovery of ringwoodite–Earth's fifth most abundant mineral–in a diamond that pointed to a vast reservoir of water bound to silicate rocks in Earth's mantle. Pearson worked with an international team of researchers including one of the best X-ray crystallographers in the world, Fabrizio Nestola from Padova, Italy, as well as scientists from the Deep Carbon Observatory in Washington, DC. This research also saw Pearson team up with colleagues from the University of British Columbia who together lead a program–the Diamond Exploration Research and Training School, part of NSERC's Collaborative Research and Training Experience–to train the next generation of highly qualified diamond explorers. "CaSiO3 perovskite in diamond indicates the recycling of oceanic crust into the lower mantle," will be published in the March 8 issue of Nature.